Monolithic Insulating Joint by Goodrich Gasket Pvt Ltd is a welded pre-fabricated 3-piece union applicable for pipeline electrical sectioning and commonly used when the cathodic protection is present to prevent any interference in corrosion control. 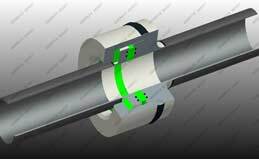 The construction oriented to the connected pipes, assures a comparable overall strength, matching the entire internal dimension to allow possible pig smooth passage while the pup length is calculated to protect the joint mechanical and electrical integrity during the welding activities. Goodrich Gasket manufactures monolithic insulating joints in accordance with the highest technical standards which guarantee mechanical requirements (torque, traction, bending, etc.) being met for the specific needs of a plant upon supplying full technical details. 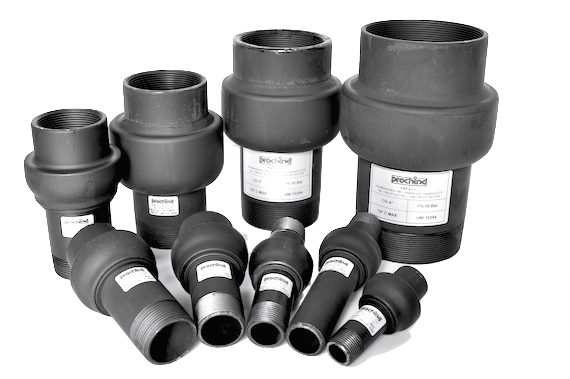 Goodrich Gasket ensures that the insulating joints are maintained at Specific hydraulic internal pressures and coating is done as per requirements provided. 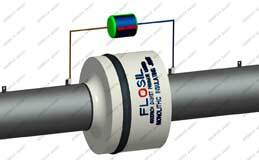 Insulating requirements are met and surpassed in regard to the electrical characteristics of the product carried in the pipeline. 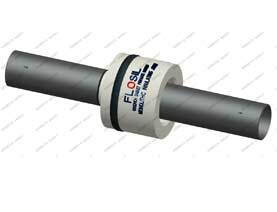 These insulating joints are designed according to ASME VIII, Division I.
Monolithic Insulating Joints are identified by Pipe size; Pressure Class and the appropriate ASME standards (ASME VIII, Division I). Goodrich Gasket manufactures insulating joints from 1/2" to 160" diameter, ANSI 150# to 2500#, Grade B to X70. 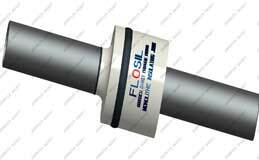 Each Insulating joint shall be marked by low stress steel stencil on the outside of the yoke with the following: Manufacturer’s Name or Trademark, Insulating Joint Serial Number, Pressure Class, Material Heat Number (also mark material Heat Number of hub on outside of hub).